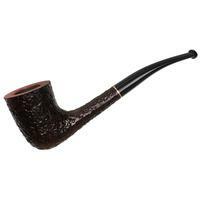 Browse our Tobacco Pipes Events calendar to find pipe events near you. Contact Us to Add your own Event. Location: The Mega Center, Pheasant Run Resort, 4051 East Main Street, St. Charles, IL 60174. For room reservations, call 630-584-6300 or 800-999-3319. Mention the show for special rates. You must be 18 or older to attend! There will be a pipe making seminar on Wednesday, May 1st and Thursday, May 2nd.with Lee Erck, Joe Nelson, Andrew Petersen, Mike Butera and others. We will also have a pipe drilling class limited to four people. 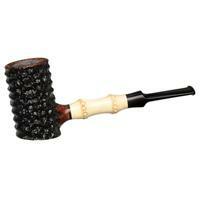 (There is a pre-registration and charge for both pipemaking seminars). Register now to reserve your place! On Friday May 3rd, the “Swap and Smoke” (buy/sell/trade event) will start at 8am and run until 4pm. With more than 80 vendors this is one of the largest pipe shows in the USA, and it is free to both buyers and sellers. We will have our champagne shopping tour to the premium outlet mall all day Friday. Tobacciana seminars and a ladies craft program are held on Friday evening. The free Friday evening welcome dinner for 600 of our worldwide guests will begin at 7 pm. We have over 300 show exhibitor tables for our show. There are exhibitor tables available. The cost of an exhibit table is $150.00. Our Saturday evening CPCC Chicago feast will be held on May 4th. See our website for more information about this great dinner event. There will be a 6,000 square tent for smoking, with food and drink available, from 1pm Wednesday of the show week to early Monday morning, next to the Mega Center. 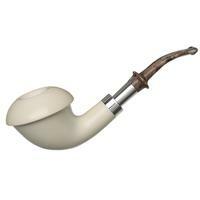 The United Pipe Clubs of America (UPCA) will have its national smoking contest (in the tent) at our show, on Sunday, May 6th, at 1 pm. For more information on the contest: www.unitedpipeclubs.org Visit http://www.chicagopipeshow.com/2019-show-flyer/, or call Craig Cobine at 630-236-6202, or email porshcigar@aol.com for more information. Mention the NASPC Pipe Show for a special rate of $112. Exit 17A off 270 onto 161. Turn right onto Frantz Rd. Second light is Metro Place North. Dealer Tables, Individuals, Smoke Shops, Pipe Makers. Browsing Encouraged! Bargains Abound! NASPC Fund-Raising raffle throughout the day. 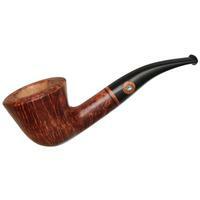 Dozens of great prizes, including many fine pipes! Tickets $1.00. Need not be present to win. If you’re interested in any aspect of pipe smoking, or pipe collecting, don’t miss this show! Come to shop or talk pipes, tobacco and accessories with friendly, knowledgeable people! Table Fees: $120.00. First come, first served. 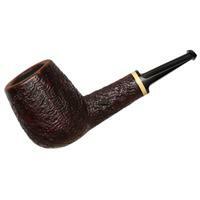 February 16th, 2019: The St. Louis Pipe Club Annual Pipe Show and Swap! Saturday Feb.16, 2019, 9:00 a.m. to 5:00 p.m.
Hotel space and price guarantee thru Feb 2nd Smoking welcome on the show floor & 2nd floor!! No admission charge display “spaces” $50.00 each* Great food and drink. SILENT AUCTION - Auction item donations will be greatly appreciated. This show is likely the oldest continuously running show in the nation. Pipe smokers, collectors, dealers, pipe makers, and anyone interested in pipes, pipe smoking, and tobacco is welcome and encouraged to attend. See you at the show. (a) All payments After February 19, 2019 – check - $100.00; paypal $105.00. (b) All payments After February 19, 2019 - Check $85.00 paypal - $89.00. The Triangle Area Pipe Smokers (TAPS) will host the 20th annual TAPS Pipe and Tobacco Expo on Saturday, April 6th 2019, from 9 a.m. to 4:30 p.m. at the North Carolina State Fairgrounds in the Governor James G. Martin Building, Raleigh, N.C. For more information contact TAPS at 919.848.0685; e-mail: info@tapsclub.us;Web site: www.tapsclub.us.